My paintings have neither objects nor space nor time nor anything – no forms. They are light, lightness, about merging, about formlessness, breaking down form. 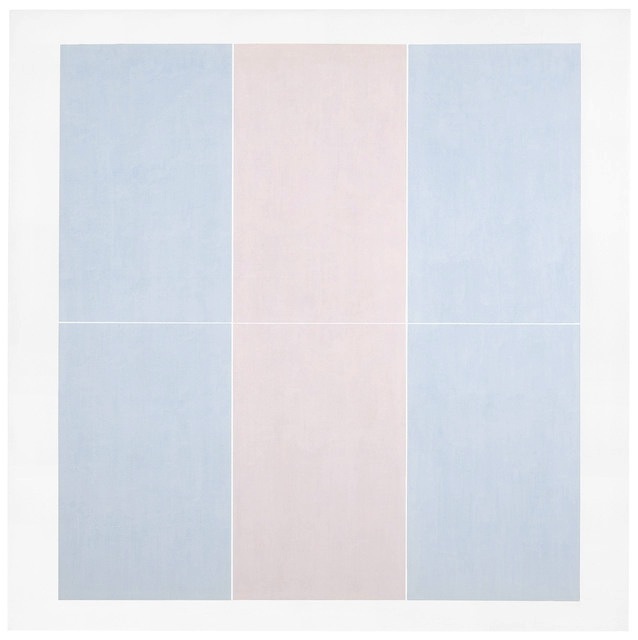 Agnes Martin is not for everyone. 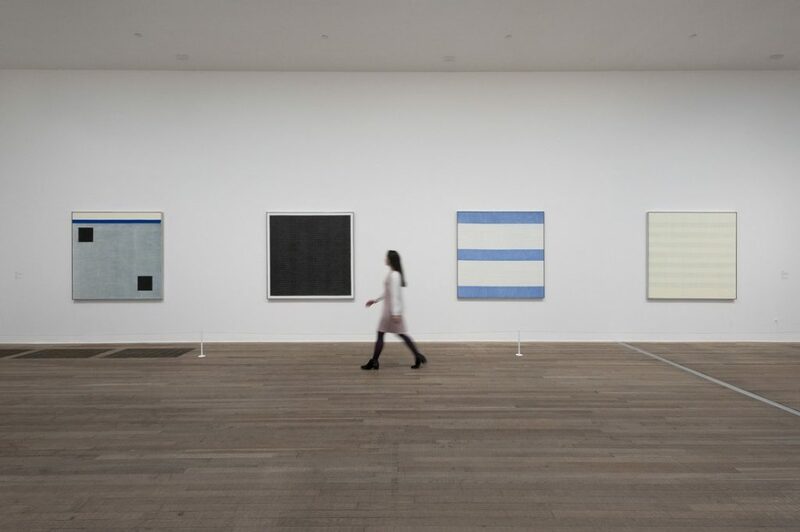 In sharp contrast to the eye-popping bling of the current The World Goes Pop exhibition a few yards away on the same level of Tate Modern (reviewed here) this is art that is understated and serene. There is nothing here that is brash or demands attention, and its appreciation requires a willingness to take a deep breath and slowly take in what the artist has to offer. Working in the second half of the 20th Century, her early career covered the era when Abstract Expressionism was overtaken by Minimalism. 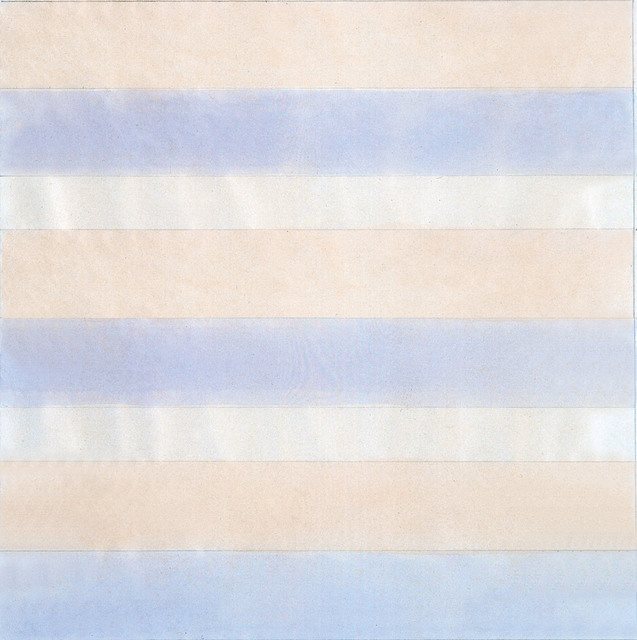 She is often considered as a pivot between the two – her fine-lined grids, bands and square blocks of pale color fusing the emotional resonance of the former with the sparce purity of the latter. The show is laid out chronologically, and begins with her highly derivative early “biomorphic” works reminiscent of artists like Joan Miró and Mark Rothko. Seeing her work in Taos in 1957, the dealer Betty Parsons however saw something in Martin’s talent and persuaded her to move to New York. It was here she fraternised with, and was influenced by, artists like Jasper Johns, Ellsworth Kelly, and Robert Rauschenberg in the hot-bed of art that was the Lower East side at that time. She made sculptural assemblages using found objects such as boat spikes and nails and began to depict simple geometric forms such as squares, rectangles and circles as well as a range of linear marks and dots, often repeated across the surface. 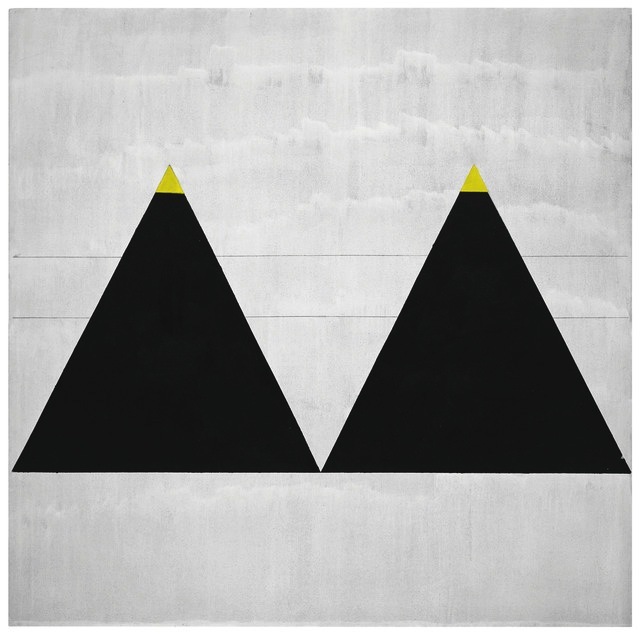 By the early 1960s, Martin’s geometric compositions had evolved into what would later be seen as her signature style: the square grid. The beauty in this simplicity is seen in works like Friendship – where gold leaf is incised to produce a grid of tiny rectangles. Referring to these paintings, the critic Lucy Lippard described them as ‘legendary examples of an unrepetitive use of a repetitive medium’. 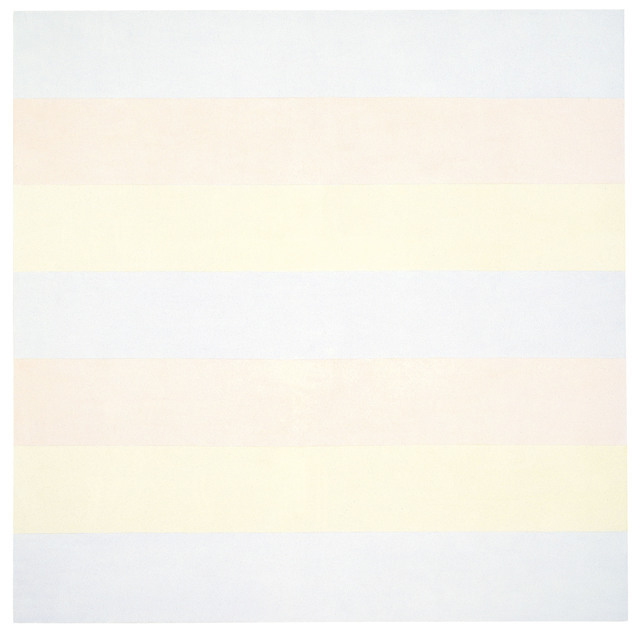 By 1967 however, fighting against mental illness, Martin left New York in search of solitude and settled in New Mexico for a self-imposed five year break from painting. 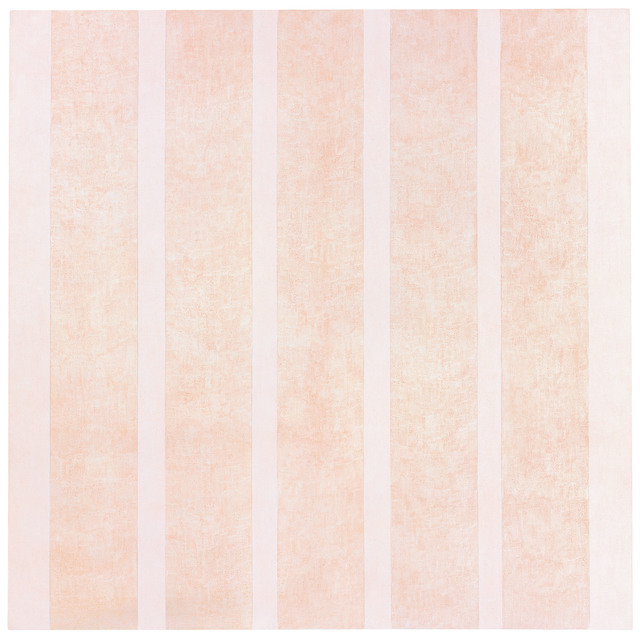 When she did start again the grids are replaced by horizontal lines, and the darker tones by palest pink, blue and yellow. The colours are evocative of nature: sunsets, light through the mist, rocks in the sun. Shown together in their own room here are The Islands I-XII – a spellbinding series of 12 near white paintings from 1979 that Martin considered a single piece These paintings can be seen as Martin’s most silent works and invite concentrated looking over time in order to see their fine lines and subtly nuanced surfaces. 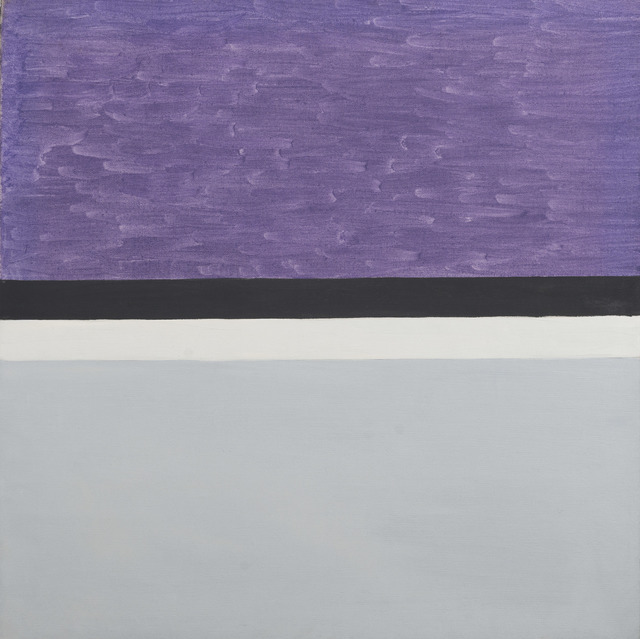 The works convey a contemplative quality, indicating Martin’s interest in East Asian philosophy, and spirituality however knowing about Martin’s schizophrenia it is also clear that this calmness was hard won – the result of a deep inner battle.